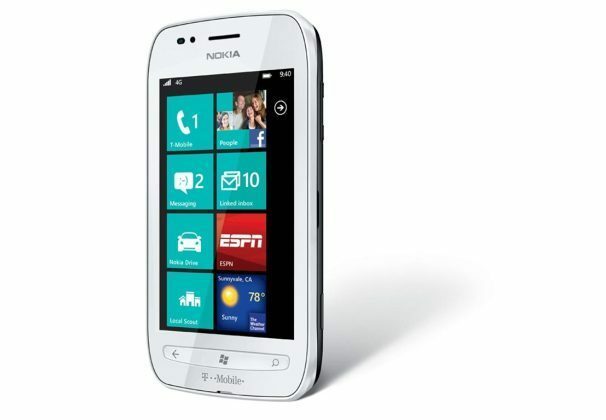 Nokia's first Windows Phone, the Lumia 710 for T-Mobile, is here! Well, at least it is here in the PCWorld office. The Lumia 710 is actually hitting T-Mobile stores and online on January 11 and will cost an affordable $50 with a new two-year contract. I got a sneak peek at the European Lumia 710 back in October and--no surprise--the T-Mobile version is virtually identical to it. The Lumia 710 isn’t to be confused with the Nokia’s flagship phone, the Lumia 800, which hasn’t made it to the U.S. yet. 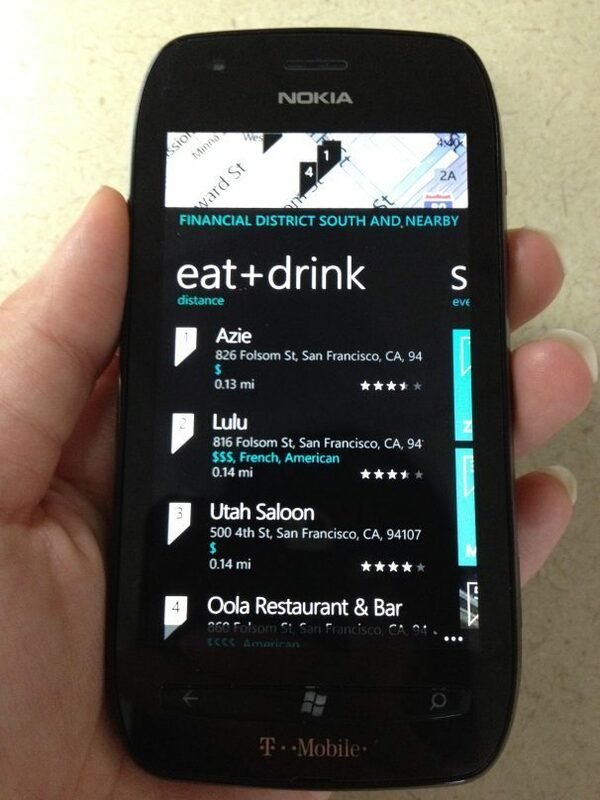 The Lumia 710’s specs won’t blow you away: Nokia is targeting new smartphone owners with this inexpensive phone. The Lumia 710 comes in black or white and has a 3.7-inch display as well as a 1.4GHz Snapdragon processor. The Lumia 710 certainly doesn’t feel like a premium phone, but it doesn’t feel cheap either. The phone’s shiny plastic is a fingerprint magnet, but the soft rubberdized back lets you get a good grip on it. The Lumia 710 isn’t going to win any beauty pageants, but then again, Nokia does refer to it as a “no nonsense” phone. If you’re all about looks for your Windows Phone, you might find the slick HTC Radar more enticing (though it is double the price). The power button is a bit difficult to press as it is flush with the bezel. I’m not a big fan of the navigation keys either, which sit below the display on a single plastic strip (see photo). It just doesn’t look very refined and feels awkward and uncomfortable. The 3.7-inch WVGA display uses Nokia’s ClearBlack technology, which supposedly increases the display’s visibility in bright sunlight. The sun was hiding in the San Francisco fog today so I was unable to put this to the test. Hopefully I’ll get some sunshine tomorrow when I post the full review. Viewing angles are good, however, while colors look bright without being oversaturated. The Lumia 710 hooks into T-Mobile’s 14.4Mbps HSPA+ network rather than the faster HSPA+ 21 network. In a quick speedtest using the WP7 Speedtest app, I achieved upload speeds of 1.37 megabits per second (Mbps) and download speeds of 0.5Mbps. I’ll be posting a full rated review of the Lumia 710 tomorrow morning so stay tuned for a more in-depth look at its performance and features.